Though it requires no equipment and therefore no financial outlay, the Makko-ho system of exercise presented in this book is a sure way to regain and preserve health and vitality. Of course, like all other truly meaningful systems, Makko-ho exercises make demands, but they are of a psychological nature. The following six points sum them up: Determination to continue, Willingness to withstand minor pain, Overcoming laziness, Patience, Spirit of independence, and Refusal to give up. One is never too old to begin a course of mental or physical training. In the Orient, old age is considered a time of maturity and hope for the future. It is a time for beginnings, not endings. This same hopeful attitude can be a part of the lives of elderly people everywhere if they take consistent, regular care of their bodies. Makko-ho exercises are one very good way to do this. Makko-ho exercises can help you gain the kind of health that is not only the right, but also the duty of all human beings. 1. 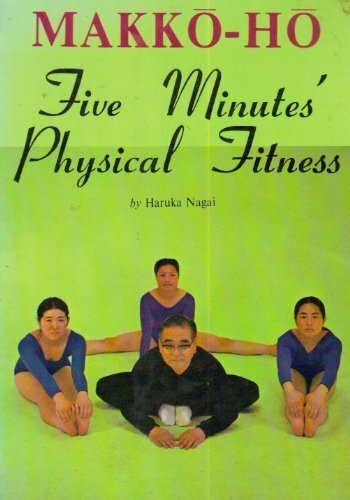 Makko-Ho Five Minutes' Physical Fitness Nagai, H.